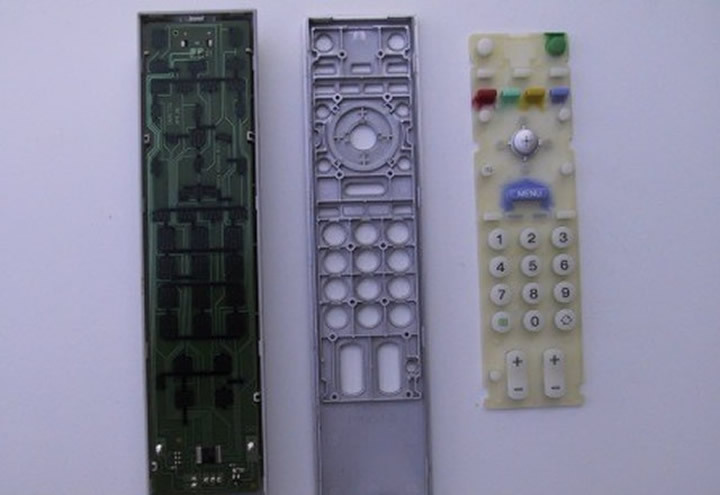 If you find one or more buttons of your TV remote is not working this can easily be repaired by cleaning or with some tin foil. First you need to remove the back, take your time their maybe hidden screws under a sticker or rubber feet or just clipped together. Prize open using a credit card or guitar pick in the join see picture. Once apart clean the buttons with soap and water in a small bowl clean the reverse of the button with mentholated spirits or alcohol also cleaning the printed circuit where the button touches, remove all deposits. 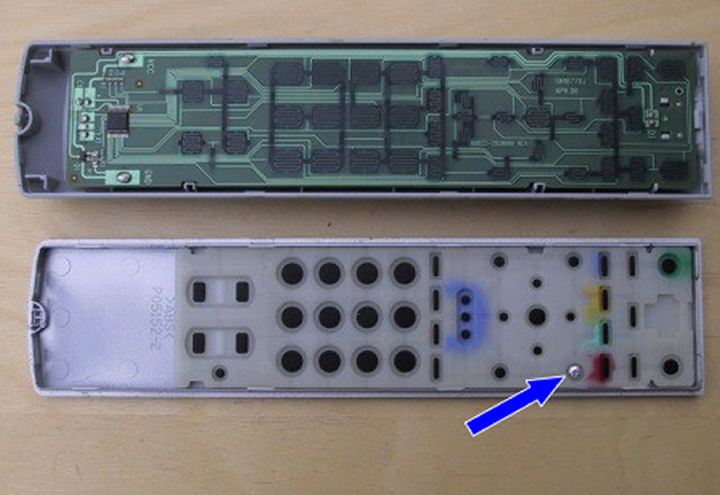 The remote may now work, if not this how we repair the worn buttons. All you need to do is to stick a small piece of tin foil on the faulty button using a small dob of silicon, I used a paper hole punch to cut the foil into a small circle carefully stick to the button and allow to dry overnight see picture. 1. To test that a TV remote is transmitting a signal use any digital camera you will be able to see the infrared light. 2. If the remote stops working and you don’t have any spare batteries try swopping the batteries around, often one battery is more drain and the remote will work if the batteries are swopped around.